Composed by Vince Gill. Arranged by Jon Nicholas. Barbershop Harmony Society. Country, Barbershop. Octavo. 12 pages. 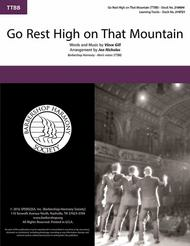 Barbershop Harmony Society #210604. Published by Barbershop Harmony Society (HL.218588).